Every motorist has wondered how a speeding ticket will affect their auto insurance premiums. This is due to the statistical evidence that contends that most motorists will obtain at least one during their life behind the wheel of a vehicle. For those that happen to be over the age of twenty five that have only one ticket on their record within the past three years…..little difference will be made to the rates that they pay for auto insurance. For all others, the following will guide you through what you will need to know in regards to how this inevitable occurrence will affect their respective insurance plans and rates. How Does it Affect in the Short Term? This varies from insurance company to insurance company, but most often, a speeding ticket will not have any immediate effects on your particular rates. This is due to the fact that the vast majority of companies do not review your driving record on a monthly basis. A review is conducted at the time that insurance is originally obtained and at the time of renewal. Therefore, should your record display a speeding ticket at either of these times, you will most likely be charged a higher rate for coverage. There are companies that will consider how old the speeding ticket is, and not penalize you for having a ticket three years or more old. More recent, or a cluster of tickets will negatively affect your premiums. What is the Effect of Multiple Tickets for Speeding? A single ticket may not increase your rates drastically, but gathering a number of them over a short period of time can. Even if you were to acquire a number of speeding tickets over the course of years, you can find yourself forced to pay higher auto insurance premiums. Every ticket that is acquired after the initial one is able to [likely] create a larger increase on your respective insurance rates while also affecting your ability to maintain a policy with your current insurer. For instance, a person with multiple speeding tickets as well as traffic accidents on their record is viewed as to high of a risk and the current policy can be legally and swiftly terminated. Should this occur, it will be far more difficult and costly for a person obtain new coverage for the vehicle(s) regardless of the insurance company. Even companies that promise coverage for all and extremely low premiums will view such a person as high risk and will offer rates higher than advertised. Why does it Affect My Auto Insurance At All? A speeding ticket affects your insurance premiums because insurers view you as a higher risk. Keep in mind, you must speed in order to get a ticket, and that is breaking the law. By not following the laws of the road you are placing yourself and others on the road at a heightened level of risk for an accident, injury as well as damage. This increases the likelihood that a company will have to pay out claims. With that being said, the increased premiums go to offsetting the potential of plausible future claims. Per the National Highway Traffic Safety Administration, drivers that receive speeding tickets are more likely to become involved in a vehicular accident. This statistical data guides insurance companies in how much rates will be raised in accordance to the number of tickets that are derived. Additionally, additionally penalties suffered due to potentially dangerous driving habits tend to curb the behavior making the roadways safer for all that must journey on them. As stated before, if you only have a single traffic ticket that is not accompanied by any other violations and you are over the rip age of 25, there is not much concern for changes being made to your insurance rates. For all others, the best way to ensure that your rates are not effected or you are not terminated by your current company, it is best to slow down when driving. 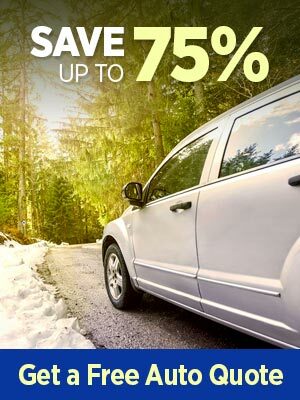 Not only will you save yourself from paying tedious tickets, but your rates will not rick increasing and you will also increase the fuel economy of your particular vehicle. No one wants to or should run the risk of becoming uninsured or considered an extremely high risk as a tradeoff for shaving off a few seconds during your commute through town.